Successful Psychopaths: Are They Unethical Decision-Makers and Why? Successful psychopaths, defined as individuals in the general population who nevertheless possess some degree of psychopathic traits, are receiving increasing amounts of empirical attention. To date, little is known about such individuals, specifically with regard to how they respond to ethical dilemmas in business contexts. 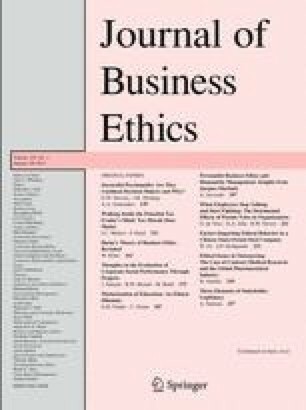 This study investigated this relationship, proposing a mediated model in which the positive relationship between psychopathy and unethical decision-making is explained through the process of moral disengagement, defined as a cognitive orientation that facilitates unethical choice. The results of the study supported this model, and implications for theory and practice are discussed. The authors would like to acknowledge the generous funding for this research provided by the Auburn University Center for Ethical Organizational Cultures. An earlier version of this article was presented at the 26th Annual Conference of the Society of Industrial and Organizational Psychology in Chicago, IL.